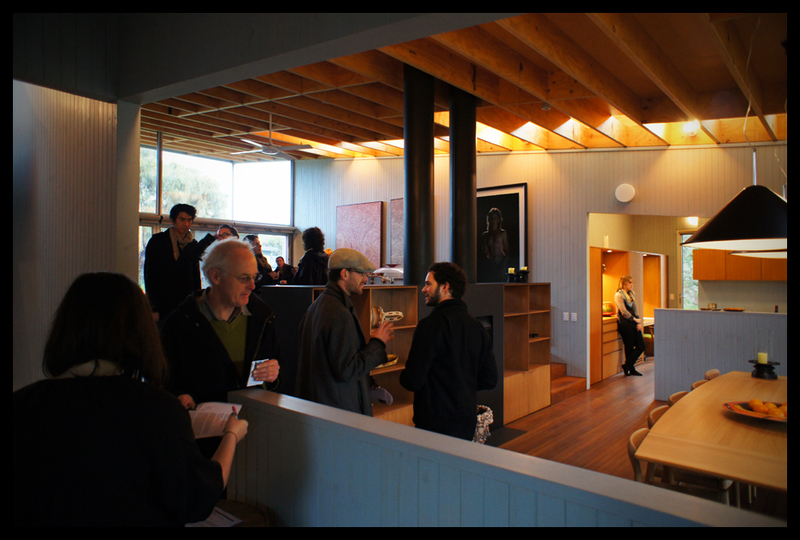 The third of four annual open days run by the Robin Boyd Foundation. 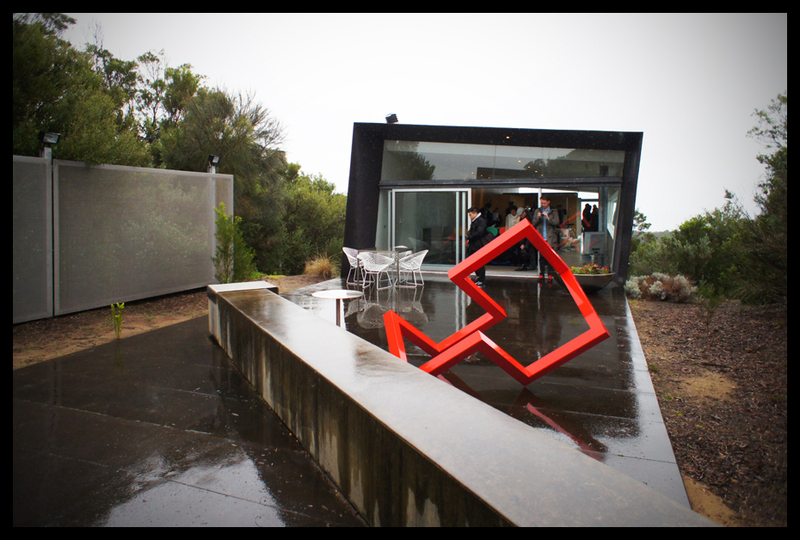 The 2012 winter event took place last Sunday on the Mornington Peninsula, with houses by Neeson Murcutt (Zac’s House, 2011, and Blue House, 2012), Denton Corker Marshall (Emery House, 1999), Paul Morgan (Cape Schanck House, 2007), McBride Charles Ryan (Klein Bottle House, 2008) and Nonda Katsalidis (St. Andrews House, 1991) accessible to the public. 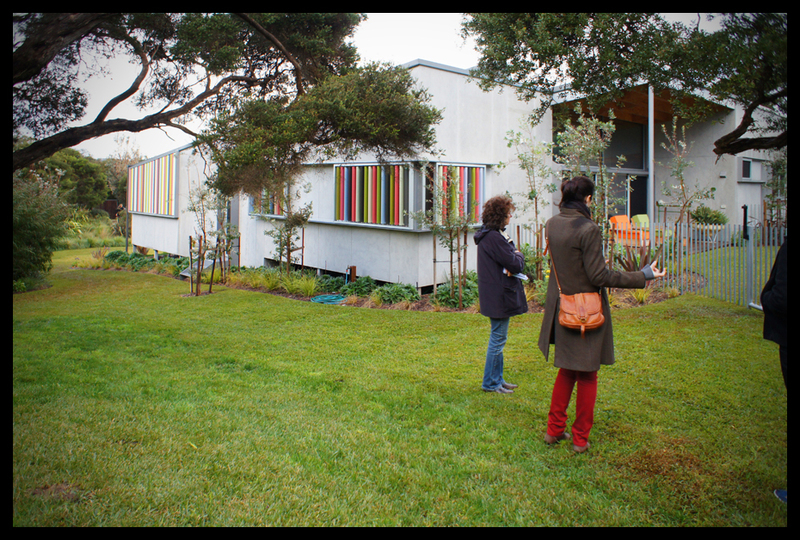 All have won the prestigious Australian Institute of Architects‘ Robin Boyd award for residential buildings, the reason for their inclusion in this open day. Strangely, St. Andrews House was only open to view from the outside. Given the agenda of these open days, and the Foundation generally, is to reveal hidden parts of the built environment to the public, we found this sufficiently off-putting to not even bother visiting site. The other five houses were, thankfully, fully accessible and universally worth visiting. Apart from shared location and accolades, the houses on display were all strikingly different, with varied design agendas, build qualities and longevity. As we visited successive sites, we attempted to establish common criteria by which to judge them despite their diversity. Thus we found ourselves repeatedly discussing the same key issues: architectural theory, form, site-responsiveness, spatial quality, detailing, execution and longevity. Most significantly, we discovered an inverse relationship between theory and form on the one hand and spatial quality, detailing and longevity on the other. At one end of the spectrum, those houses with more effort invested in exploring theoretical principles and form were less enjoyable to be in, were more poorly detailed and seemed to be lasting less well. 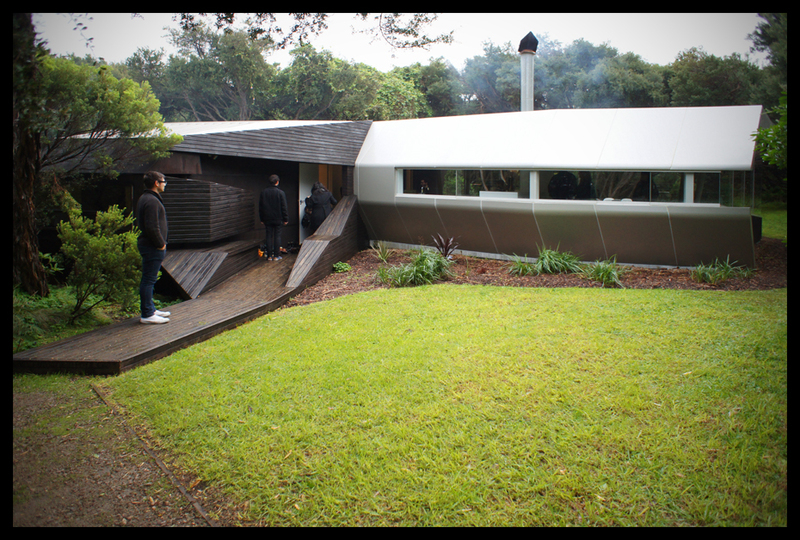 Cape Schanck House and Klein Bottle House, whose architects have reputations for (sometimes extreme) formal experimentation, were both strong evidence of this. 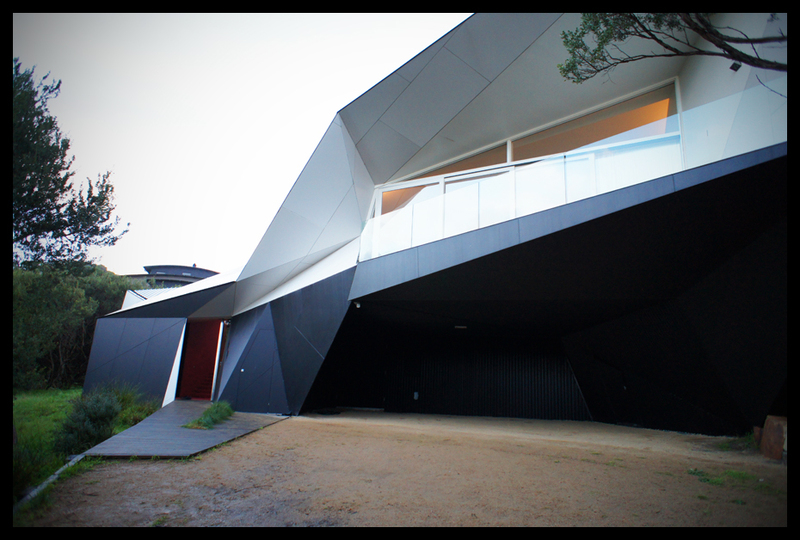 Cape Schanck House, which used extensive wind modelling to determine a fascinating, spaceship-like form, had to compromise on many of its materials and detail. We suspect it had a more limited budget than any of the other houses, and in order to execute its unusual shape was forced to compensate with cheap materials and products. Cladding, joinery, windows, blinds, fittings and fixtures are not doing well. At just five years old, it is already looking tired. That said, we liked this house. Despite its curious shape, it is surprisingly humble. 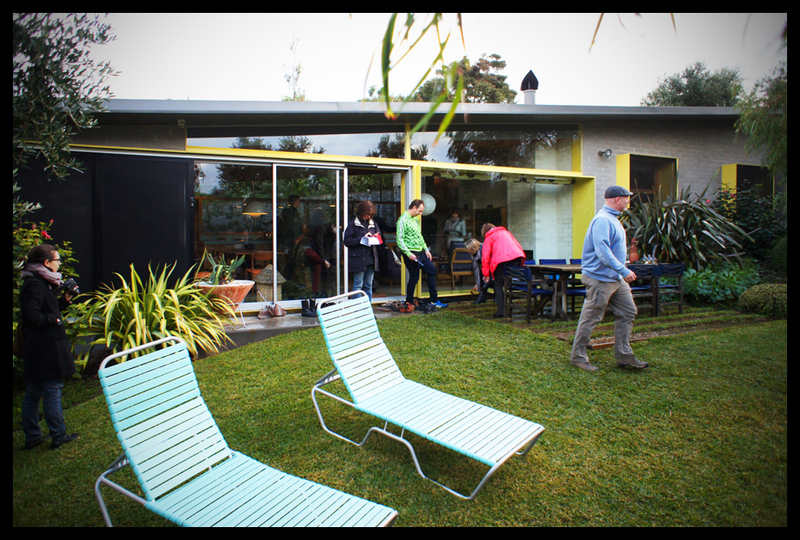 It reminded us of long weekends spent on houseboats along the Murray – its cheap and cheerful interior spaces are perfectly suited to the casual, relaxed mode of living for which it was surely intended. Without doubt, this house has more in common with the fibro shack than it does Emery House (see below) barely a kilometre around the corner. Klein Bottle House, whose form was derived from the spatially improbable klein bottle (defined by a three-dimensional object with no inside and outside, but only one surface), clearly had a significant budget, but the sheer complexity of its form has prevented many elements from being executed well. In our minds, the joy of a series of faceted, angled windows is ruined by a horizontal, surface-mounted blind cutting across the top of them. Similarly, the engaging front facade (above), as with the rest of the building, would have been more cleanly achieved with a plastic material like in-situ concrete rather than frame and lightweight cladding, whose many junctions are already deteriorating. McBride Charles Ryan also have the questionable tendency of throwing large numbers of materials and finishes at their designs – at our count, no fewer than eighteen were used in Klein Bottle House, making an already complicated building even more tricksy. Ultimately, we didn’t like this house. All the effort invested in its unusual shape seemed wasted: despite our best efforts, we just couldn’t read the klein bottle in the spatial experience of this house. There is no real theory here, just formal indulgence. All the way at the other end of the spectrum were Zac’s House and Blue House, both houses strongly reflective of Neeson Murcutt’s emotionally invested modus operandi. Starting with natural materials finished honestly, continuing with warm spaces arranged around stunning, immaculately maintained landscaping, they finish with forms and detailing that speak clearly of the unique stories and histories of their clients. Zac’s House came first, with Blue House arriving less than a year later. They share a site with a third house, unremarkable but we think almost certainly the place where the owners of both grew up. 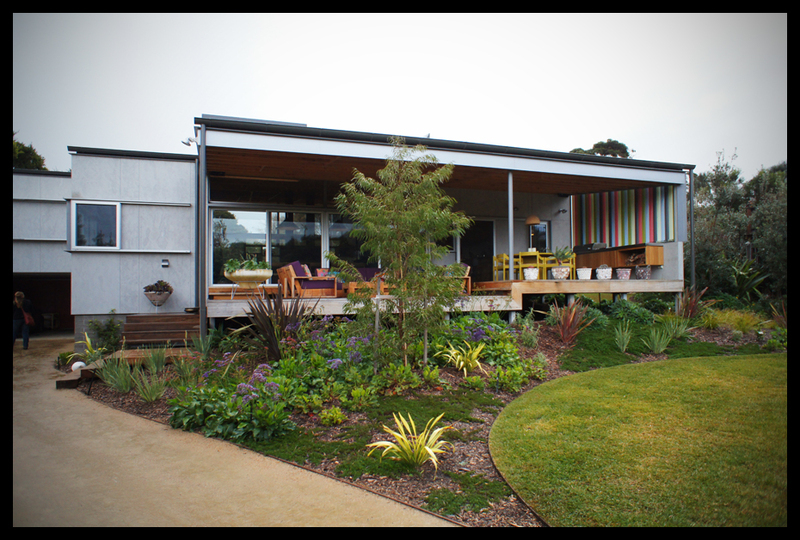 We like to think that the details and spatial experiences of the parent house informed the choice of timber lining boards and outdoor living room in Blue House, and the aqua bench top and curtain-fronted wardrobes in Zac’s House. Together, the three houses achieve a true residential compound, with perfectly sited houses enjoying both privacy and connectedness with one another. We liked these houses a lot. They are everything we hope for in architecture: buildings sensitive to their context, employing structure and materials simply and honestly, and comprising generous spaces of real warmth and character. Finally, there was Emery House. Neither intellectual yet poorly-executed formal experiment, nor regionally sensitive, environmental design, it was an odd one out. Discussed very recently in this post, we found it met our expectations though didn’t exceed them. It is superbly crafted, with every last element thoroughly considered: the construction drawings on display included details all the way down to 1:1 scale. It has also been built to last: at thirteen years old, it is ageing beautifully, as slick today as it was when it was first built. But the house felt cold. Sharp edges, stark walls and hard, modern furniture made it uninviting, a place we couldn’t imagine ourselves spending time. Then again, the furniture provides a hint that the starkness of the building was not a foible of the architect but reflects the tastes and style of its owners. As one of our group commented, we may not love this house, but we’re glad there are clients out there who are interested in commissioning architecture as sculpture, in living in a piece of fine art. Victoria is a good place to be architects. We have a climate that is gentle enough, a landscape that is diverse enough and clients that are creatively invested enough to permit an extraordinary diversity of architectural possibilities. The Mornington Peninsula is particularly well suited to realising this: beautiful sites, (relatively) unrestrictive planning regulations and wealthy clients building second homes all exist in unusual synergy. Such a preponderance of awards within this one rural region is testimony to a prolific level of good quality architecture. That all have won the Robin Boyd award despite their diversity reflects great strength and depth within Victorian architectural practice, as well as a clear willingness of clients to experiment with their architects, and a surprising yet appreciated preparedness of the Institute to reward the unusual.